One of the basic principles in the treatment of diabetes is the application of adequate nutrition. When planning a meal it is important to preserve the relationship between carbohydrates, fats and proteins. Total energy intake for diabetes diet: carbohydrates should make up 50-60%, fat 30%, protein 20%. 1. Food need to be prepared on low and short heat treatment, except where it is necessary, in order to preserve vitamins as much as possible . 2. Avoid adding fat and spices, which does not mean that they should be totally excluded, because it is very important the taste of food is satisfactory. 3. Foods take freshly prepared, and it’s better cooked than fried. 4. The number of meals is usually 5-6, so the best is that they are always at the same time. MEAT – choose mostly lean meat: chicken, veal, lean beef, lamb and meatless blue fish. Meat can be occasionally baked on the grill. In minced meat can be added soy flakes (Up to 1/3 of the weight). Fish is advised at least 2 times a week. ЕGGS – 2-3 eggs per week, people suffering from gallbladder can eat only egg whites. MILK AND MILK PRODUCTS – advising items produced from skimmed milk. Margarine has more unsaturated fatty acids than butter. Yogurt and sour milk taken in smaller amounts in respect of skimmed milk because they have a little more fat. but must be free of fat (when cool remove any excess fat from the surface and then reheated). BREAD – take a slice (50 g) with each meal. It is recommended that black, rye or whole-wheat bread, because these types of bread because they are rich with dietary fiber,prevent a sudden drop in sugar after a meal, what happens if you take white bread. With a meal containing potato,rice, beans or peas is not recommended intake of bread. SOLT – salt intake must also be controlled. People who have high blood pressure can bring 6 grams of salt per day while those suffering from hypertension can bring 3 grams of salt per day (eat unsalted food). COFFEE & TEA – can be consumed moderately unsweetened or sweetened with artificial sweetener.Since sweeteners are recommended aspartame, fructose can be taken in very small quantities because it is very sweet and in greater quantity it increases sugar and fat in the blood. ALCOHOL – not desirable for diabetics because it has a lot of calories. 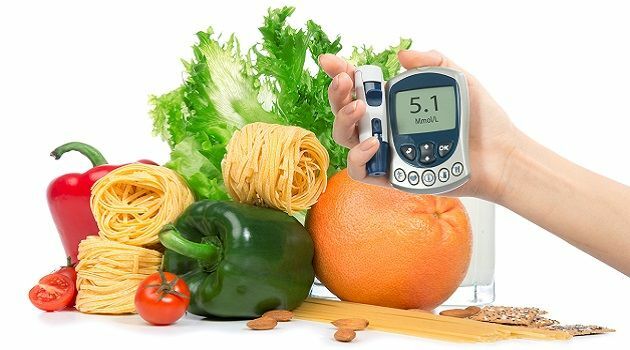 If consumed, make sure to take it with food, immediately before or after meals, because for diabetician who are treated with pills or insulin may cause long-term and dangerous hypoglycemia (deficiency of glucose in the bloodstream).